Before you slap on a plastic smile, do some deep thinking on the whole picture when it comes to plastic surgery and its risks. Think If it's really necessary to do it, would you really feel much better, after all, you won't be a different person, it'll still be you deep inside. For some people, appearances can create emotional struggles that monopolize their outlook on life. This can have a negative impact on almost every area of one's life. Those people are very often despondent, single, antisocial and so on. Plastic surgery can be beneficial for both physical and mental health; however, it can also be hazardous if not performed correctly. The results of the procedure may not be what you had envisioned. 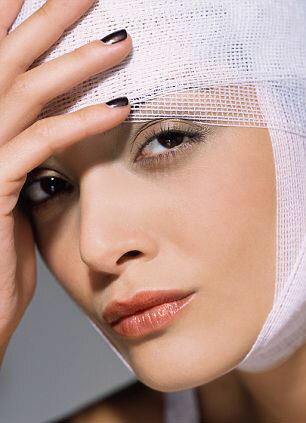 Generally, plastic surgery procedures are not reversible, and you will have to live with the outcome. So, as I've already mentioned, think through very carefully, if you do it, there is no way back. It's in the news, on television, movies and just about everywhere you look. A pretty face, a slender frame, and sizeable, perky breasts are society's general prerequisites for a beautiful woman, and people are increasingly more willing to succumb to these perceptions each year. Teenage girls crave after that artificial good look, anorexic models. They are so easy to be misled. More and more men are considering and even going through with cosmetic surgery to fit the youthful appearance desired by so many. Male pectoral implants, calf implants, Rhinoplasty, facelifts, eyelifts and tummy tucks are just a few of the popular procedures in which males are recently partaking. In many countries it has been some kind of taboo for a while, but now everybody is doing it. It's not something to be ashamed of. The ever-popular nose job, or rhinoplasty, is just one of dozens of treatments available to the big spenders. (Typical procedures cost from a couple hundred to a couple thousand dollars and ever climbing.) As the nose is rumored to be the most prominent feature on a person's face, many are quick to have theirs sculpted to perfection, or at least to improvement. Eyelid rejuvenation or Blepharoplasty, is a relatively common cosmetic procedure practiced in the hopes of reducing the signs of aging around the eyes. Facelifts and forehead lifts and chemical face peels also attempt to decrease the appearance of aging, thus restoring a brighter skin tone and an overall younger look. Women are especially afraid of getting older. First signs of aging are really easily noticed and something has to be done about it. Breast size and shape become a concern to women for several reasons, including physical appearance and personal comfort. Breast enlargement, breast reduction and breast lifts may deliver desire results to happy patients, but several risks could dampen the bliss. The obvious and ultimate goal is to construct the desired appearance in as little time as possible, nobody thinks about the pain, the long recovery process, dissatisfaction of what they might see after the procedure. Often, patients know exactly what they want to see when the procedure is done, so a match to the envisioned or sketched result is the greatest advantage, though there is no guarantee. The cons and risk factors are much more abundant, though sometimes rare or uncommon. The need to take time off from one's professional career and typical daily activities can be seen as an immediate disadvantage. Financial expenses, imminent bruising and discomfort may also deter an individual from receiving a cosmetic surgical procedure. Speaking with a person who has had cosmetic surgery performed on them may be the best means of deciding for oneself if opting for surgery is the right choice. It's the best way to find out everything you are interested in but bear in mind it's a subjective opinion. As with any type of surgical procedure, certain risks are involved. Infection, dry eye problems/ decreased tear production, bleeding, blindness and damage to nerves, blood vessels and muscles within the eye are just a few complications that can occur when a Blepharoplasty is performed. Less serious risks can include allergic reactions, asymmetry, chronic pain and dissatisfaction with the end result, among others. This is not to mention additional risks involved with local and general anaesthesia administered to patients receiving surgical treatment. You have to be prepared and well informed about every step of the procedure and possible consequences. 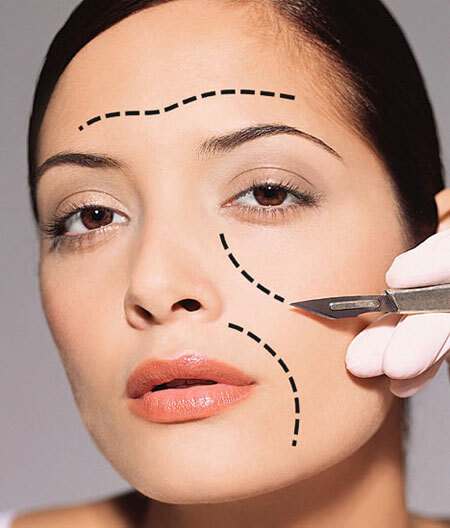 With so many risks, why do so many people continue to go through with cosmetic surgery? Not surprisingly, for the same reasons many people dye their hair! Satisfaction of one's appearance is intrinsically linked to one's happiness and overall mood. Do blondes really have more fun? If someone asks your mom one more time how old she is, will she tell? Of course she won't. Will enhanced or reduced breasts really make someone a different person? It is all a state of mind.